I've covered a lot of ground as far as wash and go's are concerned. I've shared my 7 secrets for the perfect wash and go, hacked diffusing, and broke down another product application method--the Ouidad Rake & Shake. I like the Praying Hands Method to apply product because my curls are smoother, and they dry slightly more elongated (which is only temporary). Smoothing product also reduces frizz from root to tip, ensuring that your wash and go style will last longer. In my video, I used Zotos 180PRO Foaming Smoother, Be Kekoa Kukui Nectar Hydrate Conditioner, and As I Am Smoothing Gel. 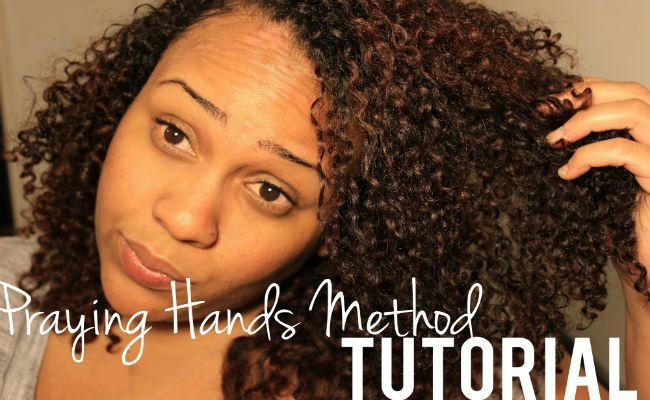 You can put the Praying Hands Method into practice with whatever products work best for your hair.